Artificial Intelligence will save us not destroy us, Google’s CEO, Sundar Pichai, said at Davos. 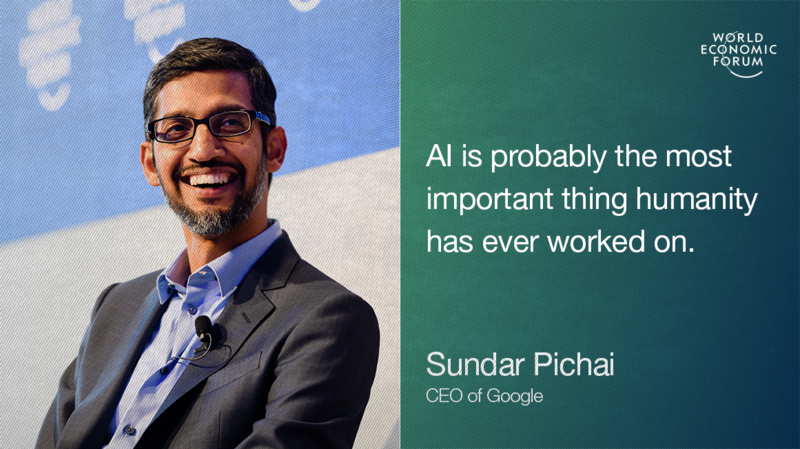 While some thinkers – notably Professor Stephen Hawking – have warned that AI could wipe out mankind, Pichai was optimistic. He said that the technology could eliminate many of the constraints we now face, helping us for example to make “clean, cheap, reliable energy” a reality. Pichai, who grew up in India, spoke of the transformative power of technology. He conceded that the risks were “important”, and called for international cooperation on the scale of the Paris climate agreement to manage them. “Countries need to demilitarize AI, that’s a common goal countries should work towards,” he said. Google has recently announced it will open AI research centres in China and in France.